Sam Eagle, the fiercely patriotic American eagle who has always been trying to set a high moral standard for the Muppets, will be joined by Kermit the Frog, Miss Piggy, Fozzie Bear, and Gonzo outside The Hall of Presidents attraction in Liberty Square to present historical tales in hysterical fashion as only they can. 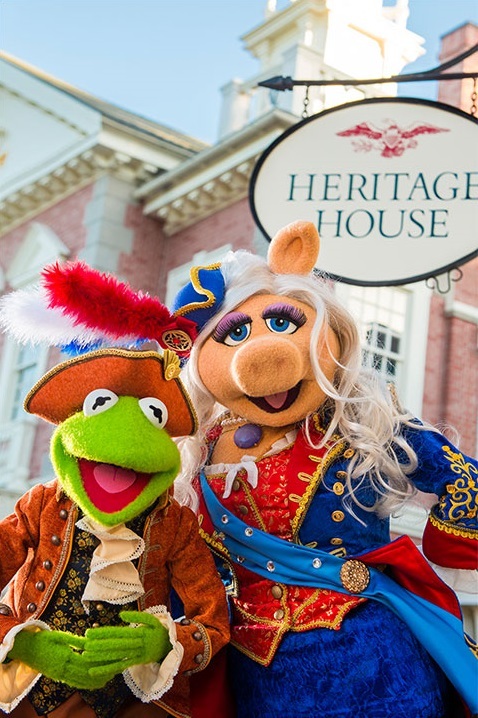 From the midnight ride of Paul Revere to the signing of the Declaration of Independence, the Muppets pop up throughout the day to share their own unique take on the birth of the United States of America. Featuring an original theme song and plenty of wacky Muppets humor, “The Muppets Present… Great Moments in American History” will make its official debut in October 2016. Why don't they do this at Hollywood Studios instead?